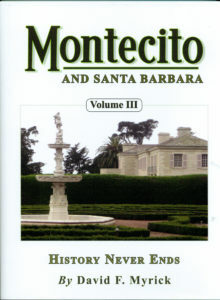 The long-awaited third volume of the series Montecito and Santa Barbara by the late David F.Myrick has finally been published. This final book is sub-titled History Never Ends. We have copies of the first two books in stock.